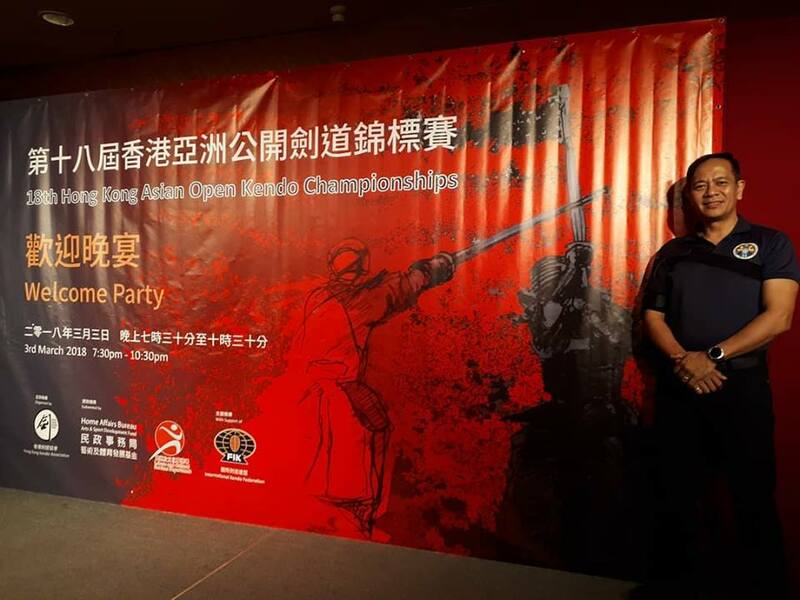 Since 2013, IGA Ken has been consistently sending a delegation to the annual Hong Kong Asian Kendo Open Championships. 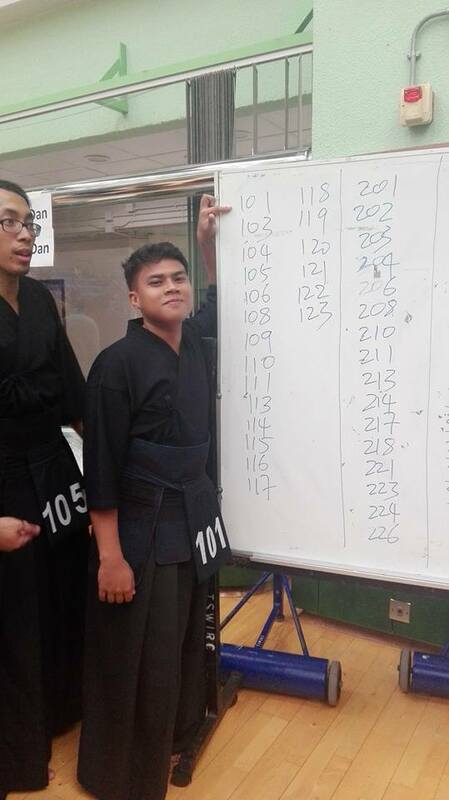 Participating in this event has always been a way for the students to test themselves in an international setting whether it be grading in shinsa, or fighting in a shiai. More than anything else however, this has been a venue for the Club to showcase what IGA Ken is about. And that is doing beautiful Kendo. This year has been no exception. We are proud to showcase this year’s new dan-holders. After grueling months of training, let’s see what these people have to say. We collated some of their testimonials posted online. I was one of the youngest exam takers so I was normally first or second in my group (1st in shodan and 2nd in nidan). For the first two dan exams I had, I was really nervous. However, I wasn’t nervous in this exam. I remember my sempai telling us that the dan exam is just a formality. All we had to do was show them our kendo. Honestly, I was a bit disappointed with my performance. I knew I could perform better than I did. But I’m still happy that I passed. It is my first time getting really nervous in a SHINSA, because I know it is the time where things get to start really serious. I was not confident nor comfortable after the match is over. I did not like my hits at all. What I know is, I’ve shown who I am/can be, stayed calm as much as possible, do strong Zanshin, be aware of the surroundings (also kept in my head where the Judgment Sensei(s) are), stop doing Waza(s) that keeps killing me, show my ‘extreme’ fighting spirit. [During that time] I was starting to prepare myself if I failed. I can hardly remember what happened. Trying to keep cool while feeling negative. It sure gave me a lot of tension. Well, nothing much is to be said about the Kata, except I made a minor mistake in the last one. In the end, I’m glad it is over and I passed~~ I’m relieved of the burden and stress I have been feeling. I felt more complete and relaxed. And I’m once again free to explore and discover new things because I had to be strict during preparation for the exam. Its almost two weeks now. I feel a bit reborn. 3rd Dan is truly something. Then again, I really wanted to attain this rank. Also a beginning to something. And I’ll just continue my life/training and see what that something is. 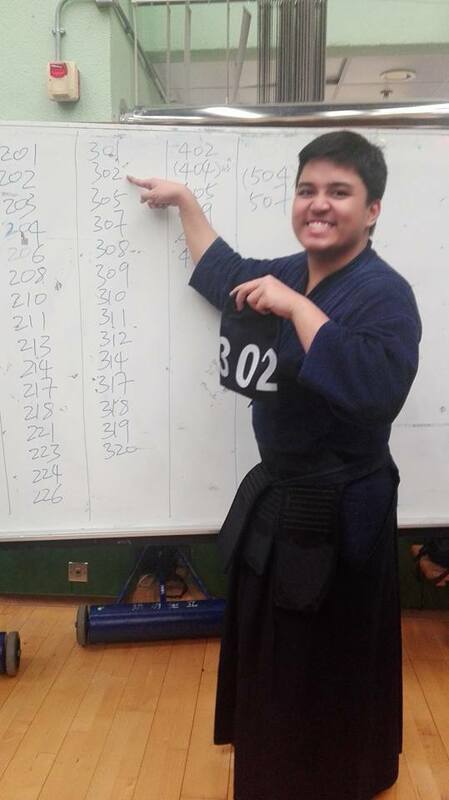 [March 2, 2018] Kendo 2nd Dan Examinee number 218: Passed! Kiai, I believe is what made me passed this exam. Developing kiai was my main focus in the Saturday and Sunday trainings, which many times got me frustrated. I think I still have a long way to go in developing it but I believe I am on the right path, following Igarashi-sensei and my sempai’s advices. I also learned that in this level, I should observe the opponent more carefully, and to perform the appropriate waza at the right timing. I recognize that this is quite difficult, and improvement is only through consistent keiko. Johnny Besa, 2-dan At the Fellowship Dinner. 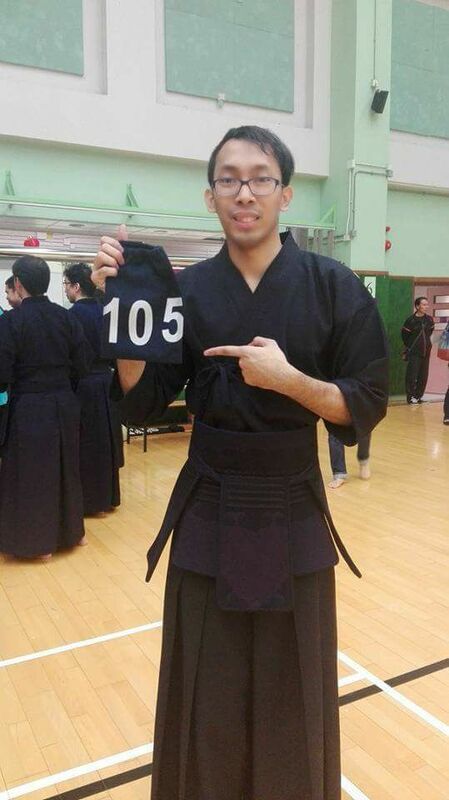 Finally, I have crossed over into another milestone in my kendo journey, 2nd dan. It has been a long and emotional journey for me, and I have Igarashi-Sensei, his lovely wife Junko-San and the rest of Iga Ken to thank for the opportunity and guidance. Worth noting that the way forward was and always will be good basics. That being said, I know that all this means is that I am ready for a new stage in my training, that I have proven myself ready for new challenges. I am proud and humbled by it all, and I look forward to the many more new and enriching experiences with Iga Ken. 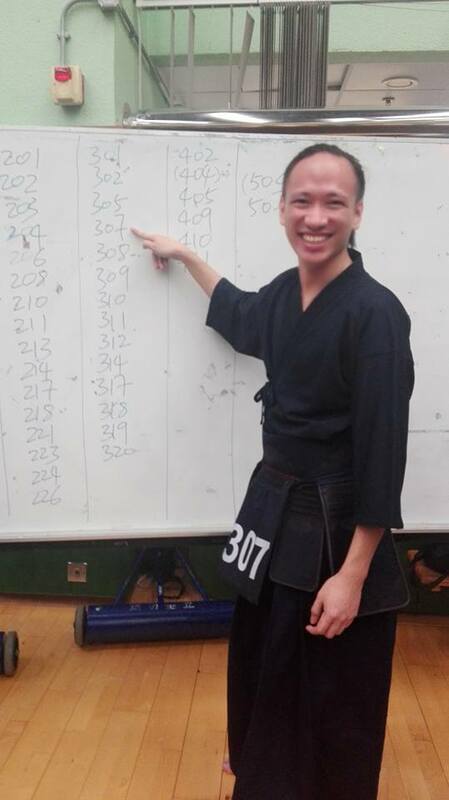 “Finally passed the Level 1 Kendo Exam! “Thank you God for keeping us safe during our entire stay and granting our prayers. 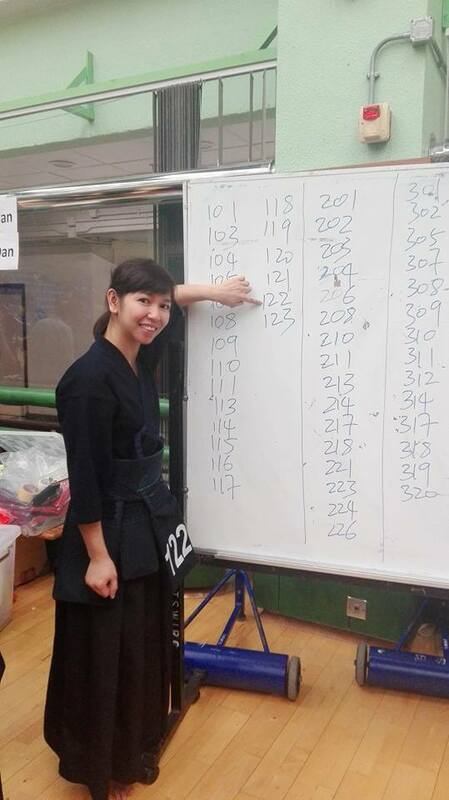 Thank you to Igarashi-Sensei and to my IGA Kendo Club family for making this possible. Special thanks to my family for the support! 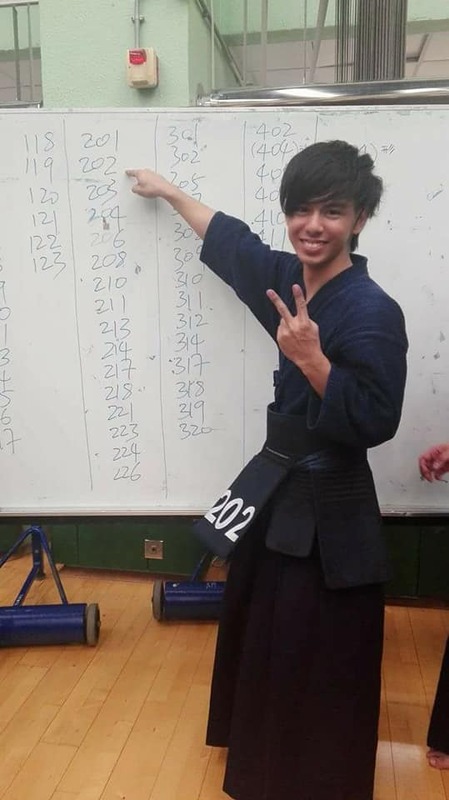 Took and passed 1st dan kendo exam with my lucky number as my exam number. I would like to thank Sensei, all my senpais, friends, and family for the support. I was promoted to shodan, a small step towards bigger goals. I was watching as the event unfold, the noise, excitement, and all that comes with it. I saw different kendo styles and I can’t help but compare how we are taught. Some failed and some passed. It’s really fortunate to have amazing mentors and senpais that did their best to teach us good kendo and secure our promotion. It’s been 8 yrs since we visited Hongkong but this time, it’s not just a visit, it is our first Dan Exam. It made my kendo experience in IGA Kendo Club more significant for me. I am the youngest examinee of sho dan shinsa and i was nervous because the youngest was the first to one to go. My heart was raising when preparing, but when i stepped at the front of the judges, i only thought of what Igarashi sensei said, “proper kihon”. After the exam, i got mixed emotions as i waited for the result. As they turned the white board, 101 has passed the shodan exam. 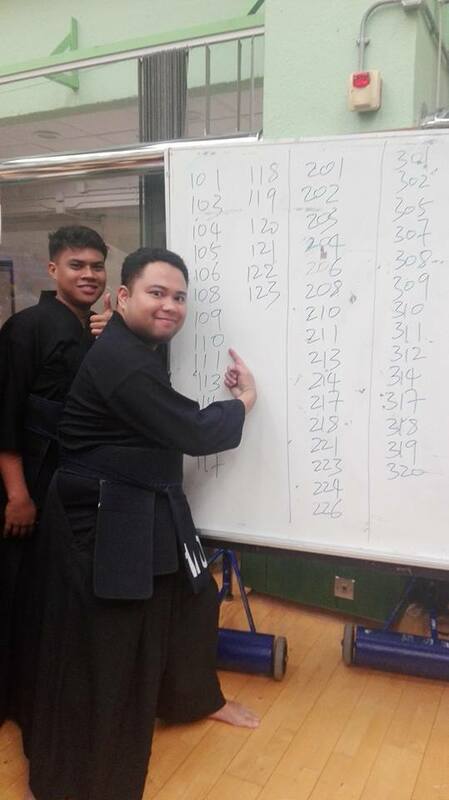 I thank every senpais, and especially to our senseis in IGA ken during the squad training for preparing me to participate the Dan exam  i may forget some advices but there’s always a room for improvements on my kendo career. 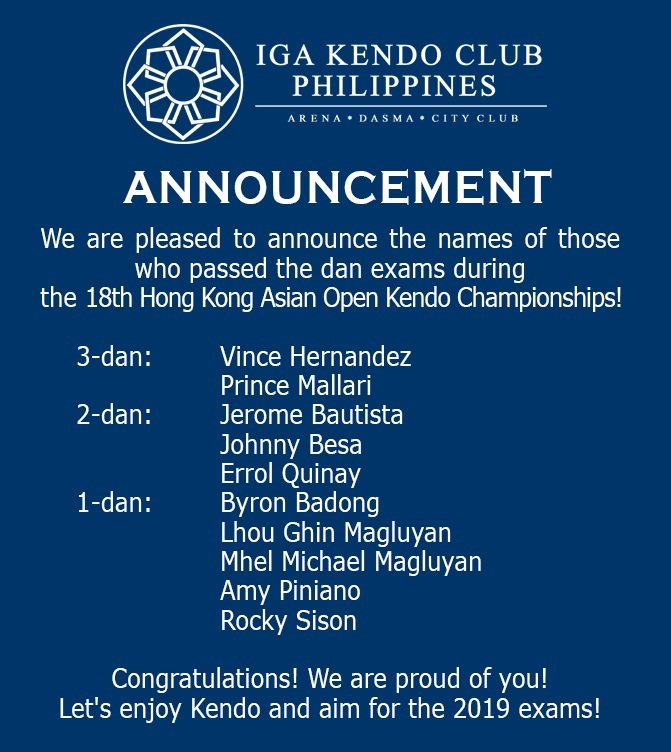 CONGRATULATIONS TO ALL THE IGA KEN PARTICIPANTS IN THE 18TH HONG KONG KENDO OPEN!!! First of all, to all those who passed the dan exams (MhelMichael, Lhou Ghin, Rocky, Byron, Amy, Jerome, Errol, Johnny, Prince, & Vince), congratulations! Your hard work over the past few months have paid off big time. Even though we have been a bit harsh on you in training, it was all so that you could succeed big time in the exams. And you all did just that. However, please remember that this is only the next step in your training. The next grade beckons, so remember to celebrate, but be back in the dojo to prepare for your next exam! ?? To our yondan candidates (Loida & Alain), even though you didn’t pass, this attempt made me so proud of you. For both of you, this was much better than your previous attempts. I have a feeling that with a little more focused and intensive training the next attempt will lead to great success. So let’s keep on pushing towards that goal! To all our shiai teams: Women’s Open Team (Amy, Erica, & Tamorah), 3Dan & Under Team A (Jerome, Vince, & Prince), 3Dan & Under Team B (MhelMichael, Lhou Ghin, & Errol), & Men’s Open Team (Jerome, Vince, Prince, & Alain). I applaud and salute your fighting spirit! While none of our teams got past the eliminations, we won the respect of the on-lookers by sticking to good and beautiful Kendo while remaining competitive in all our matches. Special shout out should go to the 3Dan & Under Team B for doing very well in their first international shiai experience. And an extra special shout out goes to Erica for winning both of her matches, and giving the waiting shimpan a lot to cheer about during her second match! Just wait for the videos to see what I mean. ?? I would like to give my thanks to Igarashi Sensei for leading the delegation training during these past few months. Your training certainly leads to your students doing beautiful Kendo. And I am very grateful that we can learn your style. Thank you also to Ariji Sensei & Nakagane Sensei for taking the time to help out during City Club training. This was invaluable to preparing the students. I would also like to thank Fukuda Sensei for sharing his wisdom during his visit last month. And also to Tachibana Sensei for commenting and giving advice on our training videos. I would also like to thank Jay for deciding to go with us to Hong Kong last minute. Your help in taking videos of the events was very much appreciated, and I hope this experience has energized you to take the shodan exam next year! And finally I would like to thank all the other members of IGA Ken. Your support and encouragement is a big part of the success of the delegation. I am very glad to have such a base to rely on, even when we are out of the country. 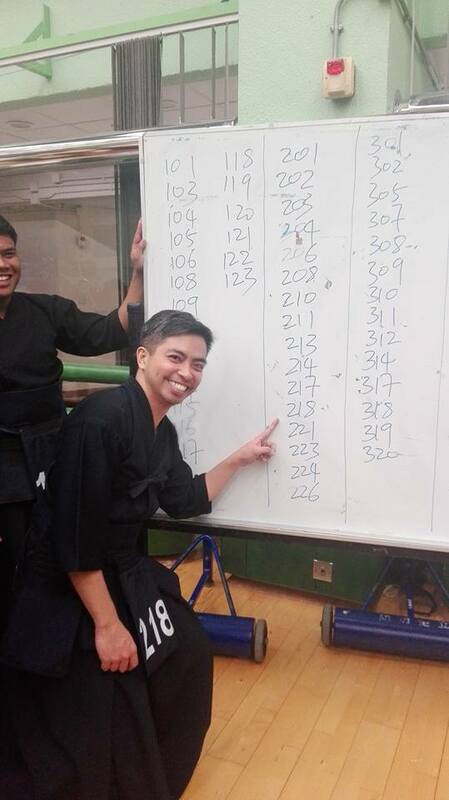 All in all, the 18th HK Taikai was a big success for the club. Looking forward to the next one in 2019! 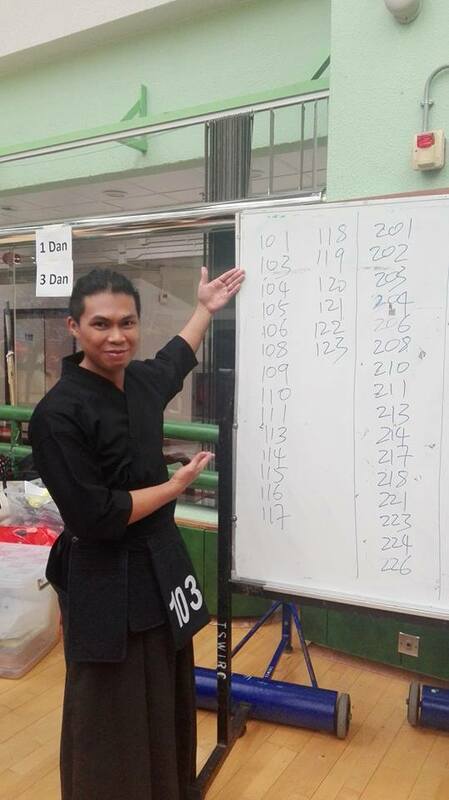 This entry was posted in Competition, IGA-Ken News, Uncategorized and tagged 18th Hong Kong Asian Open Kendo Championships, dan, dan exam, hkopen, kendo, kendoPH, Philippine Kendo. Bookmark the permalink.